All this while, ever since I started writing this blog, I have been giving you tips and tricks to download media files via the Internet Explorer cache. Now take a breather. Digging out media files, both audio and video, was never so easy. Here take a look at these wonderful tools developed by Nir Sofer. These tiny utilities need no installation, just unzip the executable program and run it from any folder you want. IECacheView is a small utility that reads the cache folder of Internet Explorer, and displays the list of all files currently stored in the cache. For each cache file, the following information is displayed : Filename, Content Type, URL, Last Accessed Time, Last Modified Time, Expiration Time, Number Of Hits, File Size, Folder Name, and full path of the cache filename. This utility works with Windows 98/2000/XP/Vista, with Internet Explorer version 6.x or 7.x or 8.x. After you run it, the main window displays the list of files currently stored in the cache of Internet Explorer. This tool supports all file types. You can extract the actual files from the cache, and save them into another folder. You can do that by using the ‘Copy Selected Cache Files To’ option (F4). Download IECacheView 1.31 (46 KB). MozillaCacheView is a small utility that reads the cache folder of Firefox/Mozilla/Netscape web browsers, and displays the list of all files currently stored in the cache. For each cache file, the following information is displayed: URL, Content type, File size, Last modified time, Last fetched time, Expiration time, Fetch count, Server name, and more. This utility works on Win 98/2000/XP/Vista and Windows 7. 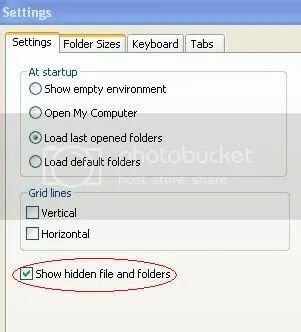 You can use this utility even if Firefox is not installed on your system, as long as you know the path of the cache folder that you want to inspect. You can easily select one or more items from the cache list, and then save the files to another folder. You can do this by using the ‘Copy Selected Cache Files To’ option (F4). Download MozillaCacheView 1.27 (59 KB). VideoCacheView too is a tiny utility for saving video files from web browser cache. After watching a video on a Web site, you may want to save the video file into your local disk for playing it offline in the future. It automatically scans the entire cache of Internet Explorer and Firefox (also supports Opera and Chrome) and finds all video files that are currently stored in it. If you have a FLV player that is configured to play flv files, it allows you to play the video directly from your browser’s cache. After the video list is displayed, you may copy the video files from the cache into another folder. You can do that by using the ‘Copy Selected Files To’ option (F7). This utility is best for saving videos (flv files) from youtube.com and also mp3 files. However, as of now, it does not support wma files. Download VideoCacheView 1.53 (68 KB). Was this article useful? Post a review. 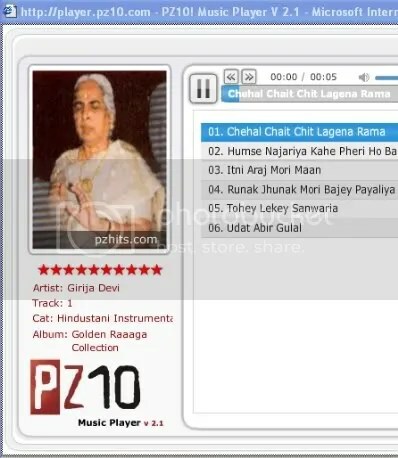 Yet another very good, but not very popular resource of hindustani classical music is pz10.com (the pz stands for Punjabi Zone). The reason it being not too well known in the classical music circuit is, it’s rather unfriendly interface and strange indexing system. But, once you get the real feel of the site it could prove to be a true bonanza to all music lovers. One good thing about this site is that it streams it’s music in both .wma and .mp3 formats. Moreover, the mp3s are of 128 Kbps (near CD) quality, which is good enough reason to download from this site. To music lovers for whom retrieving music from the Internet Explorer Cache is becoming a habit, I recommend they install ExploreXP (click here to download), a very small and free alternative to Windows Explorer which is easy to setup and can be configured to view all hidden and system files. Moreover it lets you view the filesize in Bytes rather than KBs which is the standard view in Windows Explorer. Before attempting to download, clean your Internet Explorer cache completely, by either using the standard method of Start > Programs > Accessories > System Tools > Disk Cleanup, or by using an utility like CCleaner or even Index.bat (a batch code written by me for those who know their way around with the Command Prompt and Safe Booting). 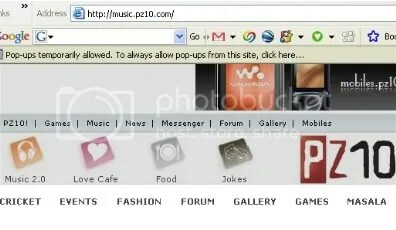 Visit the music section of pz10.com. Click on the Hindustani Instrumental Music (its more than just instrumental really), and then on the View / Browse All Hindustani Instrumental Music Albums (or simply click here). Choose the album you want to download. Choose Flash Player, Select All Songs and click on the Play button. Let the songs play to their full length. Retrieve the songs from the Internet Explorer Cache. ExploreXP will help you to do it with ease. Another way to download is to search for flash.htm file in the cache which is the playlist file (this is tricky because sometimes it could be a jumbled 8 character name like CAX8KNTH.htm). If you are using the Windows Media Player as your player option, the playlist file will be named playlist.htm. Use a downloader like Flashget to download the file. Note: The voxtoken=(+ a combination of letters and numbers) is a part of secure webcasting code by Voxel meant to prevent the users from downloading the music. As the voxtoken code changes every time you load the player, so does the URL of the song, preventing people from posting the songs on their blogs or elsewhere. This means, the URL is good enough for single use only. NO SOUP FOR YOU SHAME SHAME!!!! Well, here is a spoonful, (of soup ?) for everyone to savour. 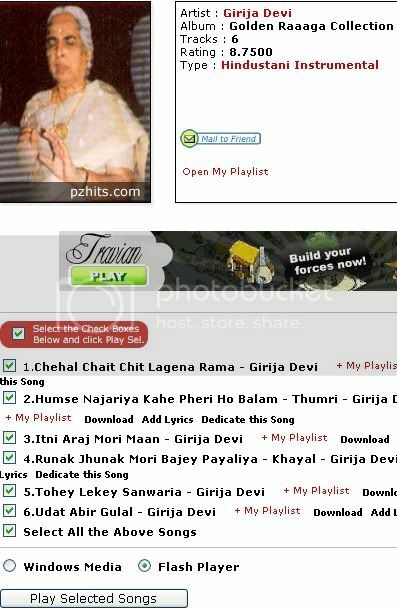 Apart from a sizeable collection of hindustani classical music, pz10.com also has a good number of regional songs including Bhojpuri and Rajasthani folk. Imeem.com is one of the more popular sites among the music communities. One unique thing about imeem.com is that it converts all its .mp3 uploads into .flv format (flash video format minus the video) for streaming purpose. With almost 200 or so more alpha-numeric characters in place of … and in between. Now a file name as long as this (it may even extend beyond your computer screen) usually freezes your computer when right clicked with the mouse (in your attempt to copy it) resulting into a system crash or forcing you to close the Windows Explorer. In other words downloading music from imeem.com is banned officially (or at a price). As usual clean your Internet Explorer Cache thoroughly. For a detailed description of how to clean your Internet Explorer Cache read my previous post How to Download from musicindiaonline.com. Apart from the routine Start > Programs > Accessories > System Tools > Disk Cleanup, I would highly recommend to delete the mysterious index.dat files as well. Index.dat files are not easy to delete when Windows is running, and you will need a special tool for this. The best tool that is easily available and most importantly, a freeware is CCleaner (formerly known as Crap Cleaner). A portable version of CCleaner is highly recommended which will spare you from the installation process. If you are comfortable enough with booting up your system into Safe Mode, then I have a little surprise for you : a nifty utility (only 3 KB) that I have devised for my personal use and which I am willing to share. Find the link in the sidebar of this blog or click here. Go through the Readme.txt file before using it. Once the index.dat files are gotten rid of you are left with only 4 sub folders in the Temporary Internet Files folder making it easier to find the music files. Now go to Imeem.com and start playing the file that you want to download. At the same time go to Start > Programs > Accessories > System Tools > Disk Cleanup. Click on the View Files button on the next window. You will find the file in one of the 4 folders, growing in size as it plays on. Once it has played its full length or when it stops growing in size and has buffered fully, you may rename the file by a ‘delayed‘ double-click of the mouse (do not right click as it may freeze your computer), to a short name of your choice (e.g myfile.flv) with the .gif replaced with .flv as it’s extension. Copy (or Cut and Paste) the file in the folder of your choice and play it in a Flv Player. You may convert this file into a mp3 file if you wish using a file converter. I use SUPER for most of my converting jobs. 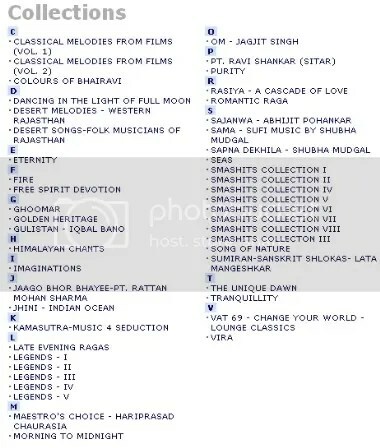 I wonder how many Indian Classical Music enthusiasts know that ww.smashits.com (note the ww instead of www) has a few gems of hindustani classical music stored in it’s seemingly bollywood centric server. This portal is not very new and does not boast of a large classical music content but still I managed to download a few pieces of music not available anywhere else. My favourites are about 75-80 songs featured in it’s ‘Smashits Collection‘ (8 CDs). These are now an important part of my ‘indianraga.collection‘. However there is a catch. There is no way you can download a music file directly from this site (sorry, there is one but only by making a small payment). But for mortals like yours truly, who are forever downloading music and would go bankrupt in a few weeks if they continue paying for it, there is always a way out. As we are going to retrieve the music files from the ‘Internet Explorer Cache‘ it is essential to clean it completely before going further. Firefox users will not be able to download using this method. There are a few tricks for diehard Firefox fans too, but let’s leave them for another time. After you have cleaned your Internet Explorer Cache, follow the steps mentioned in the post : How to Download from musicindiaonline.com to view your downloading files. Now unlike musicindiaonline.com which streams it’s music in Real Audio (.ra) or Windows Media Audio (.wma) format, smashits.com uses a Flash Player and streams it’s music in .mp3 format (usually 64 kbps) which is a big plus for those who want to download from this site. Moreover the sound quality of the files is much better than that on musicindiaonline.com (20-24 kbps). Click on the album you want to download and select the files (you may select all, if you want). Click on the ‘Play’ button. The Flash Player will open as a pop-up. Open the Internet Cache folder and you will be able to view your file gradually growing in size as it plays on. Let it buffer fully (you will see the ‘Bit Rate‘ and ‘Duration‘ of the file appear when it does). You don’t need to play the file to it’s full length but letting it buffer fully is very important. Copy the file and paste it in the folder of your choice, rename it according to it’s original name and repeat the procedure to download another file. On a fast Broadband connection you may be able to download an album (5-6 songs) in 4-5 minutes. Watch out for more downloading tips from other music streaming sites in my future posts. Download and Enjoy Listening ! !